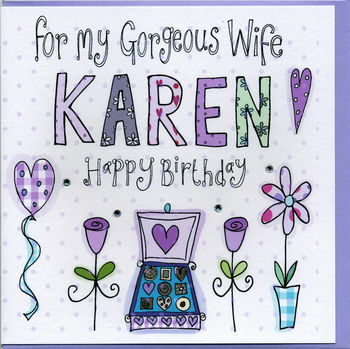 Beautiful personalised and hand finished Birthday card to make your Wife feel extra special. A colourful Birthday card design is personalised with the recipient's name. The design is carefully reproduced and printed onto high quality white card and individually hand decorated with crystals for a little bit of sparkle. You can choose your from a choice of greetings and print your Wife's name. The card is blank inside for your own message or you can choose to have an internal message printed from the options list. Please note, if you are sending a card direct to the recipient you can only place one card per order as postage only covers delivery to a single UK address. Be sure to check your spelling, as what you send is what will be printed. Supplied with a mauve coloured envelope. 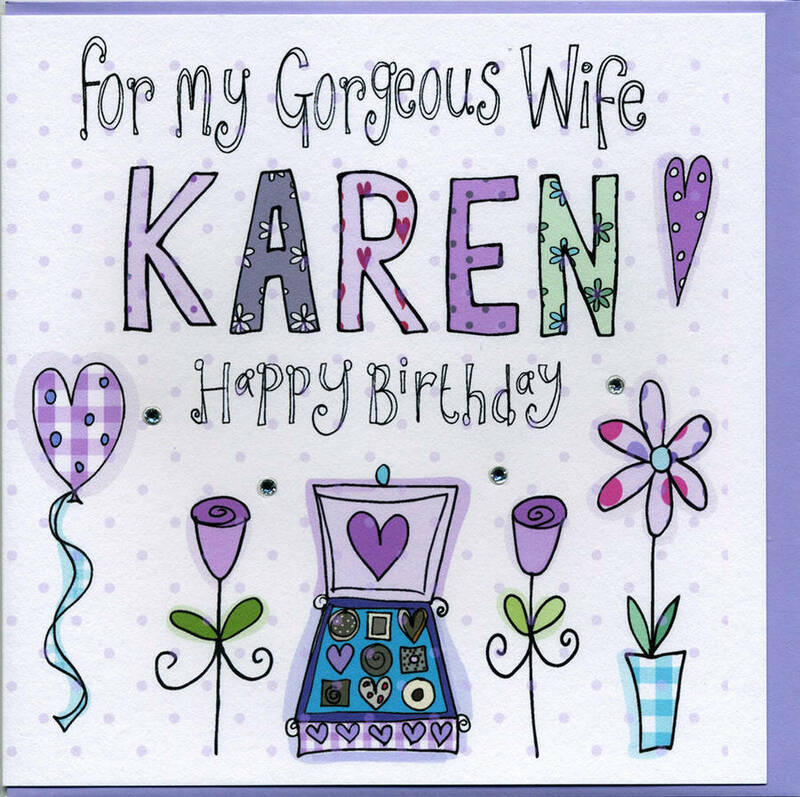 This personalised range of cards are available in various designs for male and female birthdays. Please see our full range.